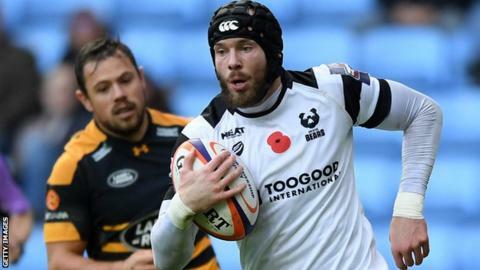 Bristol Bears winger Ryan Edwards will be sidelined for the rest of the season after having surgery on a shoulder injury. The 28-year-old Welshman, who sustained the injury during training, is set to return by the end of May. Edwards has scored nine tries in all competitions this season, with one of those scores coming in the Premiership. The Ashton Gate-based club are 10th in the table, nine points above bottom side Newcastle Falcons.